The perils of living in New York go beyond the grave. The directors of seven funeral homes have been stripped of their licenses and face jail after pleading guilty to their role in what one US official called “the crime of the century” – whenever they got hold of a suitable corpse, they would tip off a team of illegal body harvesters led by Michael Mastromarino, a former oral surgeon who had lost his dentist`s license. Operating out of a secret room in a Brooklyn funeral home, Mastromarino would extract useful skin, organs and even bones which would be replaced with pieces of PVC piping so as to not arouse suspicion at open-casket funerals. The body of British broadcaster Alistair Cooke, of Masterpiece Theater fame, was plundered by the harvesters and paperwork altered to record his age as 85 rather than 95. 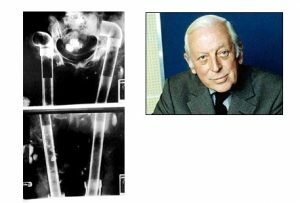 The body snatchers allegedly surgically removed Mr. Cooke`s bones and sold them for more than $7,000 to a company supplying parts for use in dental implants and various orthopedic procedures.